Well how's that for a turnaround? 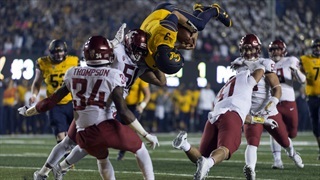 Six days after an ugly 38-7 loss at Washington, Cal (4-3, 1-3) responded with a dominant 37-3 win over eighth-ranked and previously unbeaten Washington State (6-1, 3-1). 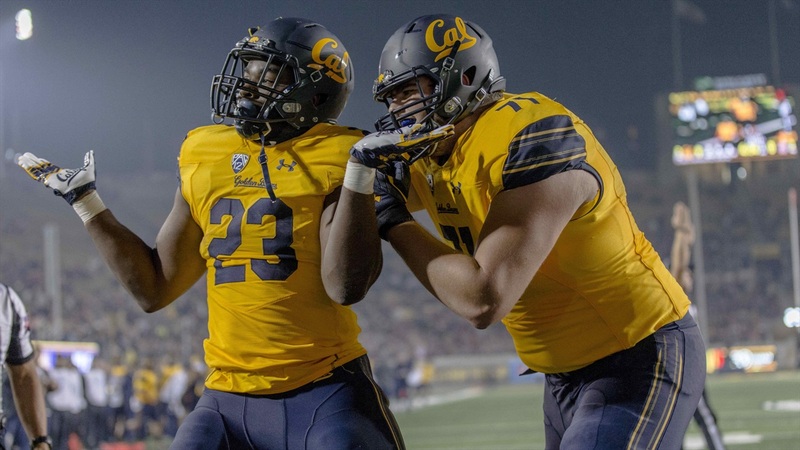 It was the Bears' first win over a top ten team since defeating third-ranked USC in 2003. 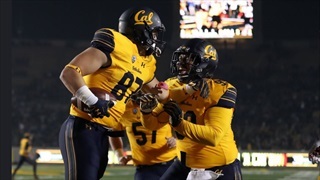 Cal's defense recorded season-highs with seven forced turnovers and nine sacks. Jordan Kunaszyk led the way with 11 tackles, 2.5 sacks, an interception, and a forced fumble. James Looney, Cameron Goode, and Luc Bequette each added 1.5 sacks, and Camryn Bynum had two interceptions. 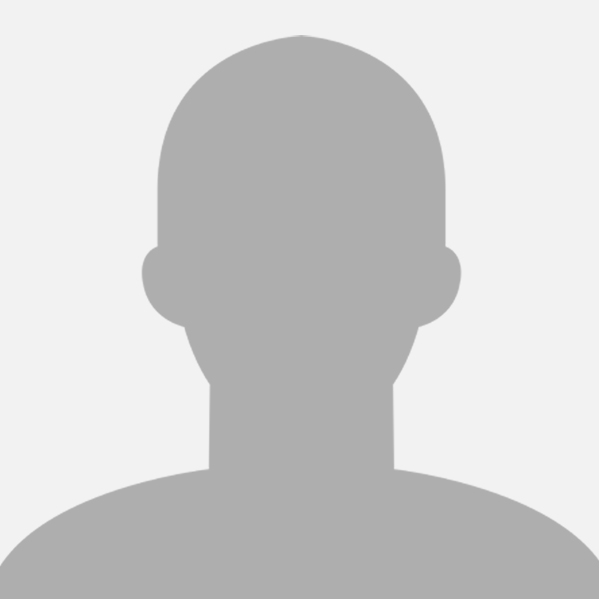 The Bears intercepted Washington State quarterback Luke Falk five times - he had only thrown two interceptions all season entering the game. 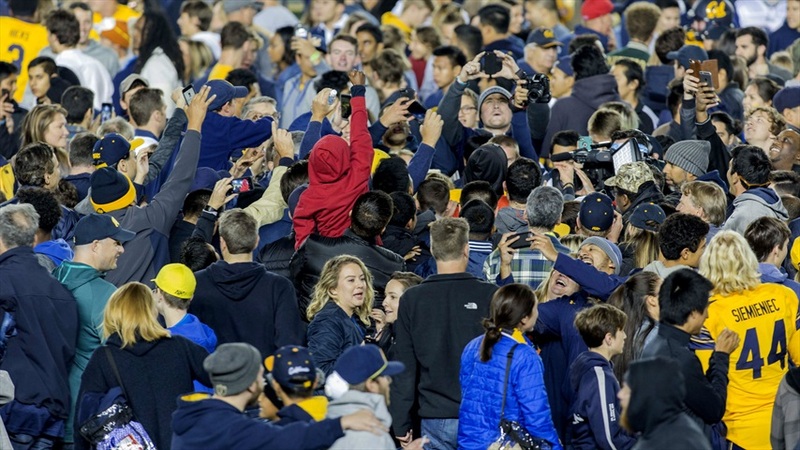 Cal now leads the nation with 20 forced turnovers, two more than they recorded all last season. On offense, Ross Bowers bounced back from a rough outing last week, completing 21 of 38 passes for 259 yards and a touchdown. He also had a highlight reel touchdown run, completing a full front flip into the end zone. Vic Enwere had his best game of the season, rushing for 102 yards and a touchdown on 22 carries. Stay tuned for quotes from head coach Justin Wilcox and the players.